Pet owners, rescuers, breeders, dog lovers and advocates are being asked to attend a Queen’s Park rally in Toronto, Ontario on November 18 to show their opposition to the current powers held by the Ontario Society for the Prevention of Cruelty to Animals (OSPCA). This is the day the ministers of the provincial Parliament will vote on a resolution to claw back the society’s power, which includes the ability to enter a shelter without a warrant and being able to euthanize animals at will. In 2008, Bill 50 was passed that gave sweeping new powers to the OSPCA, including the right to warrantless entry and since September 2010, a petition calling for government oversight of the society, which took in $15.5 million in donations in 2009, has been tabled more than 55 times. 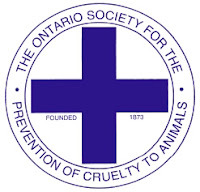 Those in favor of the current resolution by Newmarket-Aurora MPP Frank Klees cite the entry of the OSPCA York Region and the subsequent decision to kill 350 animals to eliminate ringworms in May 2010. Proponents claim the OSPCA has violated the Constitution and will be calling on the Ontario government to review the OSPCA’s powers and authority under the OSPCA Act to ensure a more effective “provincial oversight of all animal shelter services in the province” by giving these powers to the Minister of Community Safety and Correctional Services. If passed, the OSPCA would still continue to function as a charity that provides animal shelter services. Participants are asked to be at the Legislature by 1 p.m. so they can make their presence known. If you plan to attend, please pre-register for security reasons by calling 416.325.7316 or by email at alex.roman@pc.ola.org.